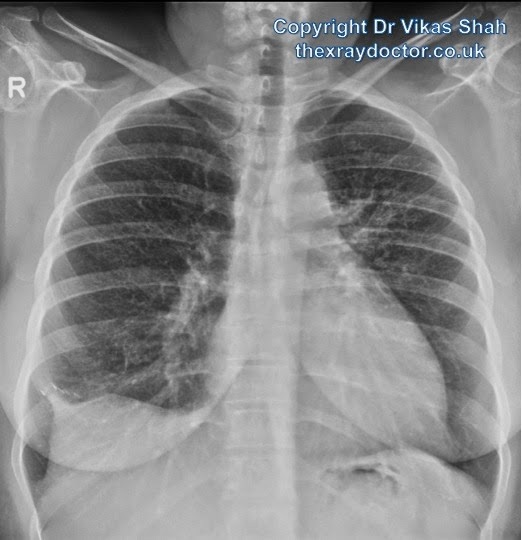 This is a CXR of a 30 year old woman with shortness of breath and a dry cough. What do you think? The lung volumes are preserved. There is lateral peaking of the right hemidiaphragm, and adjacent to this there are staples in the right lower zone. There is a reticulonodular pattern of opacification but no airspace opacification. 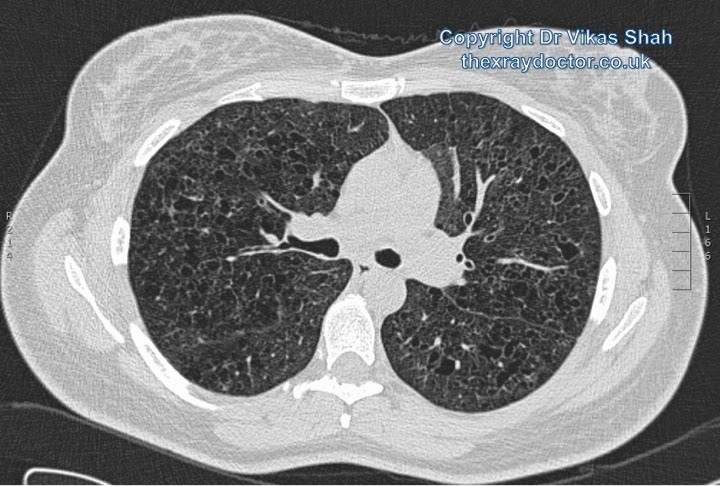 The differential diagnosis is between Langerhans cell histiocytosis and lymphangiomyomatosis. Does this CT slice help? This shows a predominant cystic pattern, with bizarre and odd shapes to the cysts. A few nodules are seen. Elsewhere on the CT, the bases were spared. She had previously had an open biopsy.